Every day, I count my blessings that I get to raise my daughter in the middle of a premier vacation destination. We love that the Black Hills are in our backyard and we try to take full advantage of all that they have to offer. My seven-year-old daughter has spent countless days exploring the area with me. 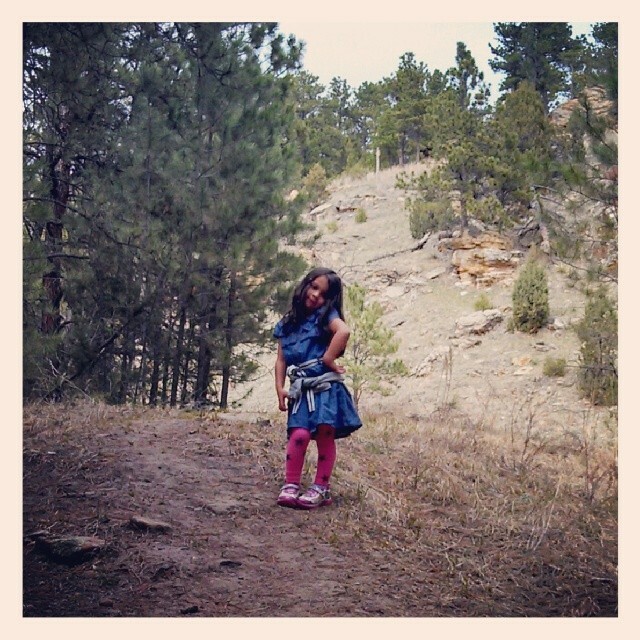 (She is basically a mini expert on the Black Hills kid scene.) Here are her top picks for Black Hills fun: 1.) WaTiki Indoor Water Park - This 30,000-square-foot indoor water park provides the opportunity for swimming fun year round. 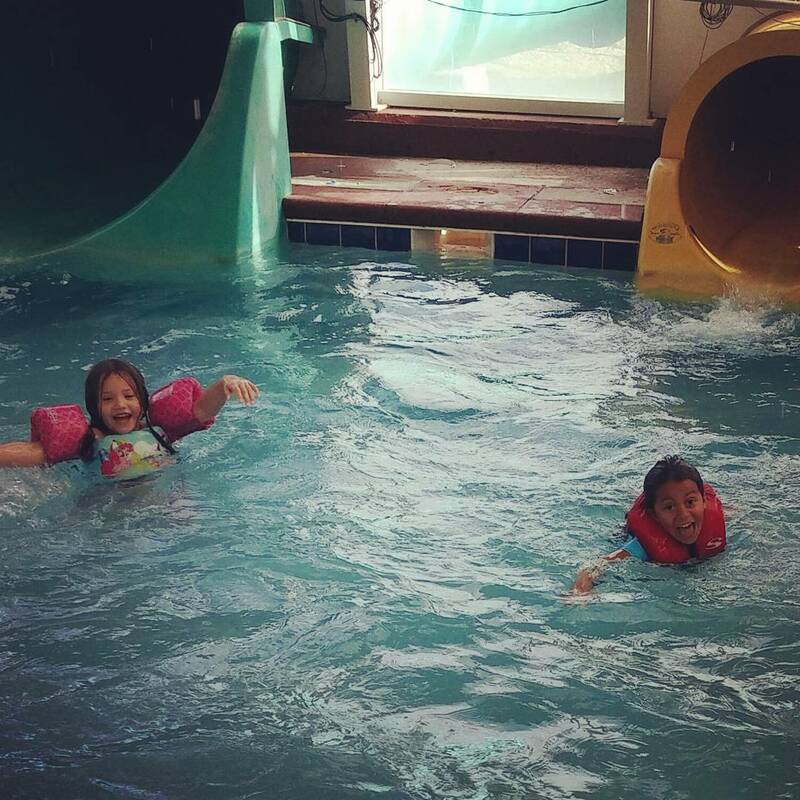 The park offers a little kid area, lazy river, activity pool, hot tub, and of course, amazing slides for the adventure seekers in your family. My daughter recommends the SinkHole slide (referred to in our house as the "toilet bowl slide") because it feels like you are being flushed down the toilet. The park also offers a snack stand, arcade, restaurant, and full bar. 2.) Hiking - Hiking is a favorite activity for my entire family because it gives us the opportunity appreciate and enjoy Mother Nature and the outdoors. If you have small children, I recommend starting out with a short, easy hike. Remember, kids like to explore—and by explore, I mean pick up sticks, rocks, and whatever else along the trail. 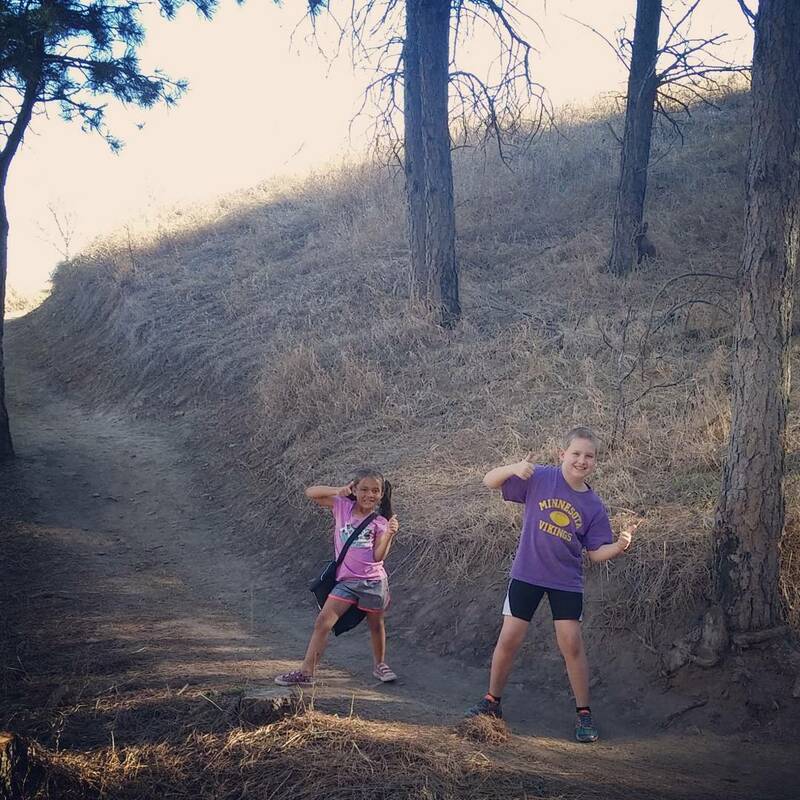 My daughter’s favorite hikes include Sylvan Lake Shore Trail, M-Hill in Rapid City, and Roughlock Falls Trail in Spearfish Canyon. 3.) Reptile Gardens - This unique attraction is the largest reptile zoo in the world but it is much more than just reptiles. The Sky Dome houses a beautiful assortment of exotic plants and flowers. Visitors can attend a gator show, snake show, and a bird show, which all are wildly entertaining and educational. 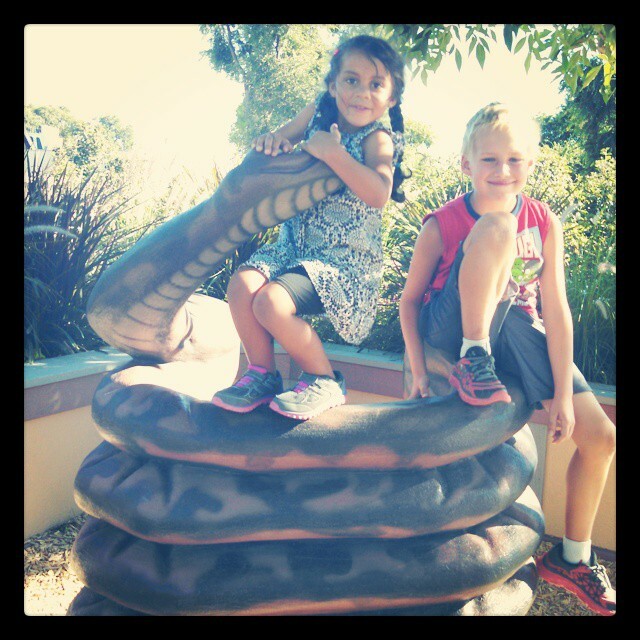 Other popular features are the giant tortoises, prairie dog town, the bald eagle exhibit, and playground. My daughter recommends that all kids make sure they see the gator show and don’t leave without petting Fluffy. 4.) 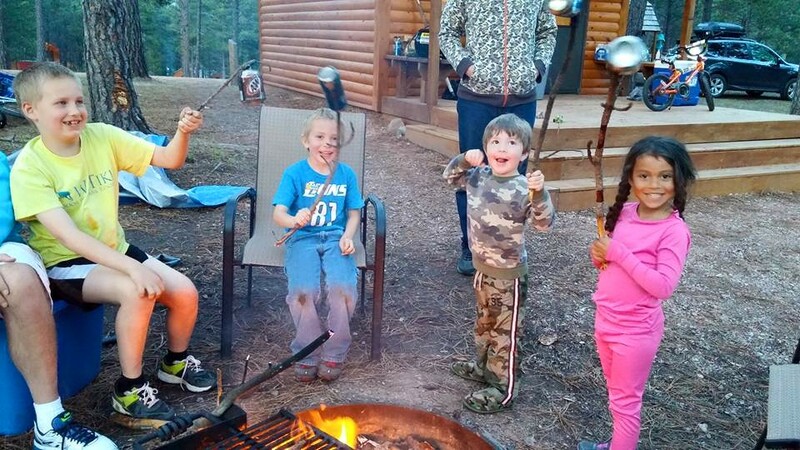 Camping - Nothing brings a family together like a good old-fashioned camping trip. 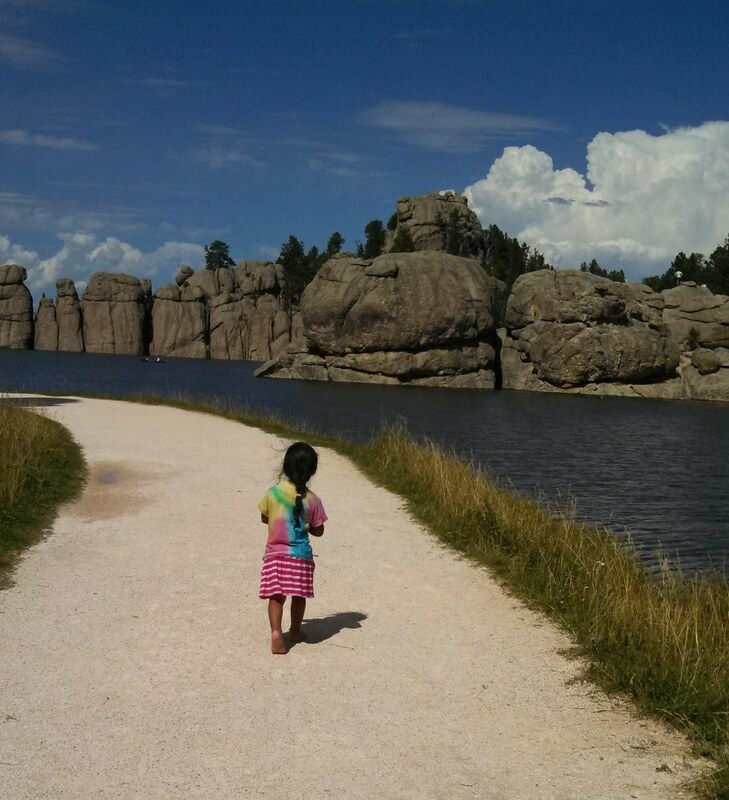 The Black Hills have a vast selection of camping opportunities for families. Everything from secluded tent camping to staying at one of the area's premier camping resorts. My daughter loves to go camping. It seems that sword fights, bike rides, hikes, fishing, and just running wild are all a lot more fun with the prospect of the day ending with a sleepover in the great outdoors. Her favorite camping spots are Angostura Lake, Custer State Park and Mt. Rushmore KOA at Palmer Gulch. Her favorite camping activity is telling spooky stories around the campfire. 5.) Old McDonald's Farm - This attraction is much more than just a petting zoo. 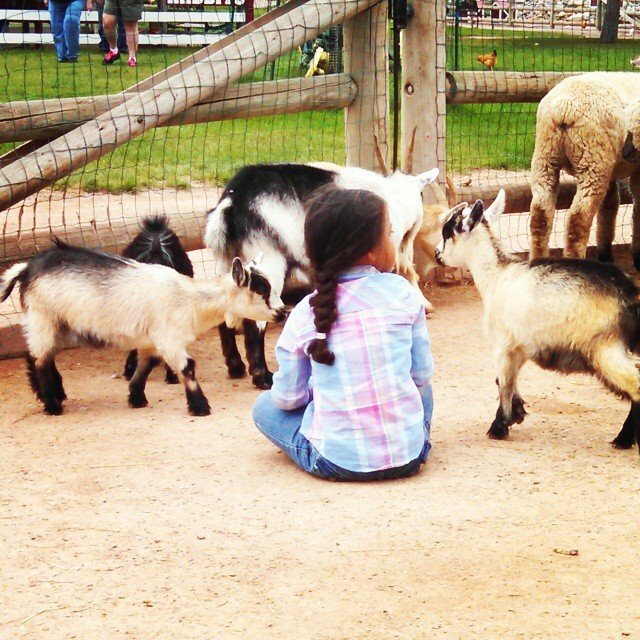 They offer over 100 animals for your family to enjoy interacting with. You can pet, feed and play with the animals. They also offer pony rides, tractor-train rides, and the ever-popular pig races. 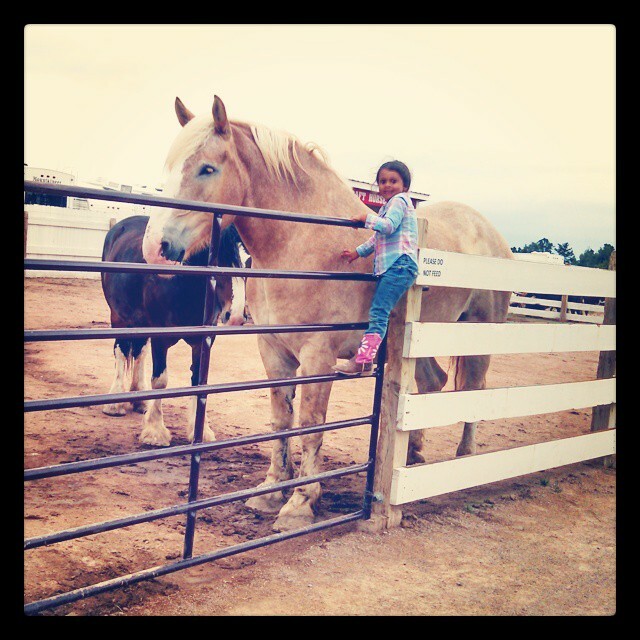 Whenever we visit, my daughter loves to spend time petting the draft horses. 6.) 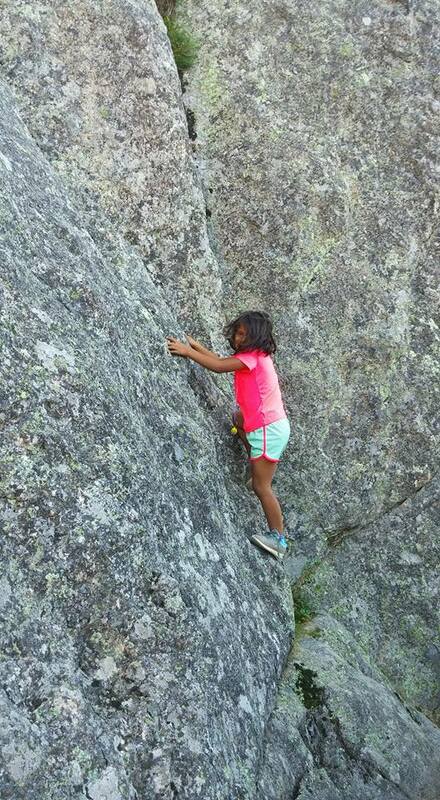 Rock Climbing - As you are road tripping around the Black Hills, make sure to stop and let the kids out to explore. My daughter loves to find some good rocks to climb on and explore. Some of her favorite spots to scramble on the rocks are along Needles Highway and at the Wrinkled Rock climbing area near Mount Rushmore. 7.) 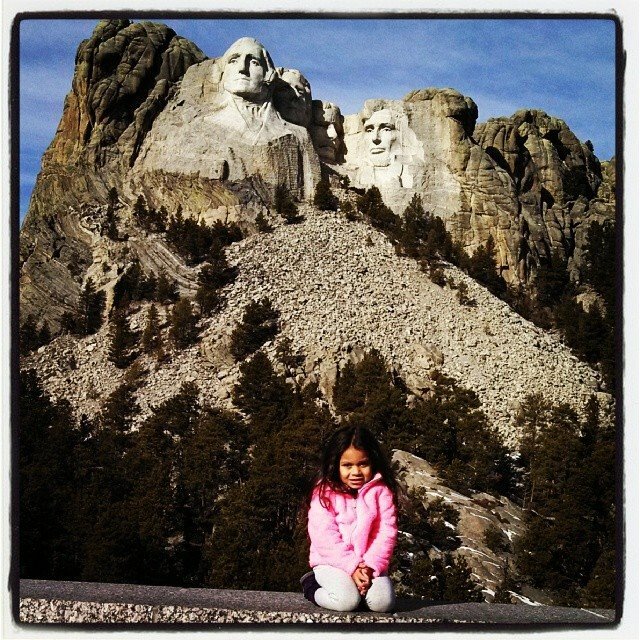 Mount Rushmore National Memorial - My daughter loves the Shrine of Democracy. Every time we visit, she insists on watching the video on how the mountain was carved. She explains the process as they carved it just like you would a pumpkin…only bigger. She also enjoys the Junior Ranger program, hiking the Presidential Trail and of course, a scoop of the Teddy Roosevelt's Ice Cream. 8.) 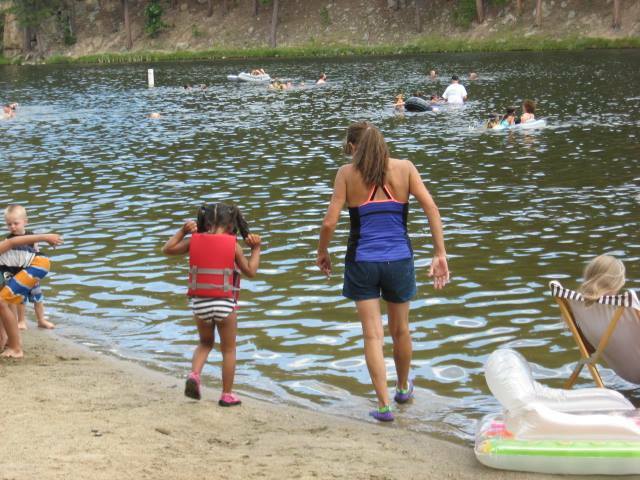 Lazy Lake Days - Each summer, one of our family traditions is to pack a picnic and head out to spend the day at one of the numerous picturesque lakes in the Black Hills. 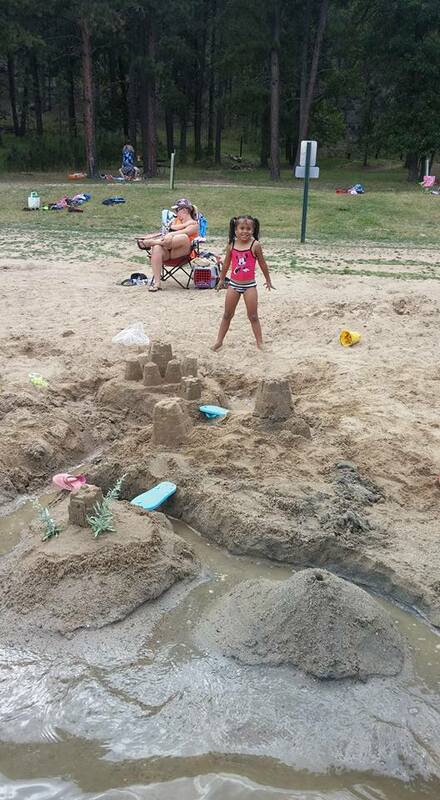 My daughter loves to play in the sand, take a spin in a canoe and swim. Her absolute favorite lake is Center Lake in Custer State Park. 9.) Main Street Square - If there's any chance to get wet and wild….my child is there. 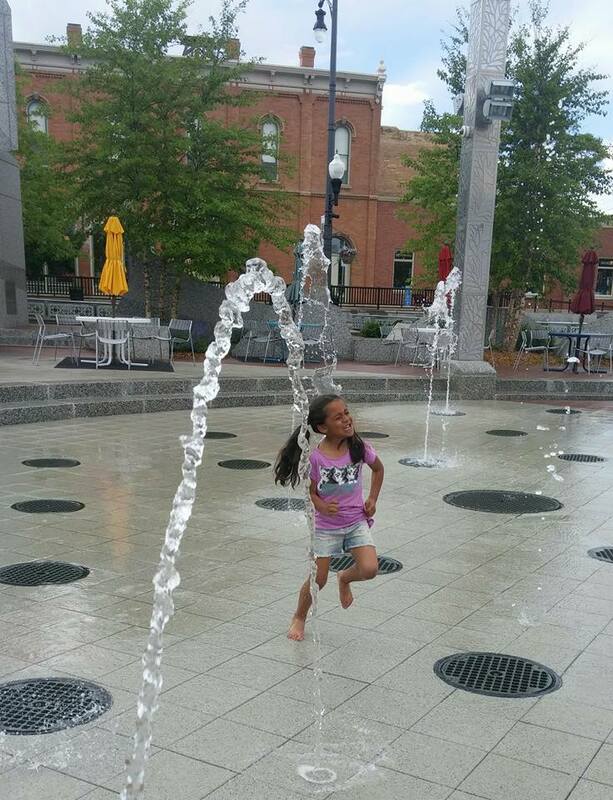 I am telling you, the fountains at Main Street Square in Rapid City are a fantastic opportunity to experience pure joy on your child’s face. Running through the fountain is a great way to beat the heat and have some fun. For years, my daughter has been on a mission to make it across the fountains without getting wet. She almost has the timing down just right. I think this is her year. 10.) Spearfish Canyon and the D.C. Booth Historic National Fish Hatchery & Archives - One of my most favorite places on the planet is Spearfish Canyon. Thankfully, my daughter agrees. We love spending the day checking out the waterfalls, enjoying the creek, and hiking around. We always start our day at Roughlock Falls and end at the D.C. Booth Fish Hatchery in Spearfish. 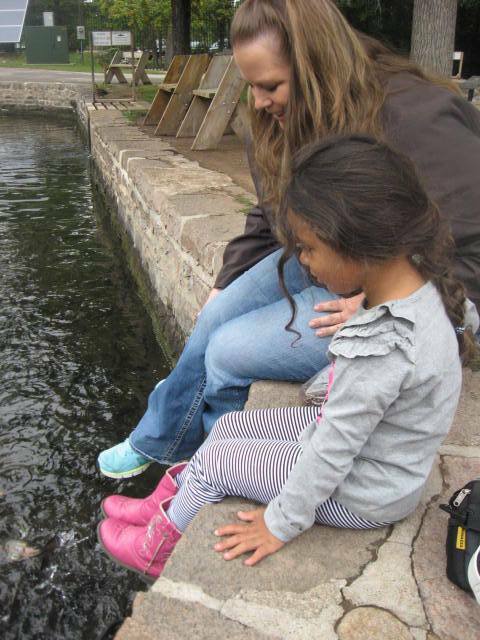 The fish hatchery offers a self-guided tour of the historic hatchery buildings, underwater fish viewing, and you can feed the fish and ducks. My daughter can spend hours throwing handfuls of fish food and watching the ducks and fish go nuts trying to eat it all. It's Father's Day Free Fishing Weekend in South Dakota!